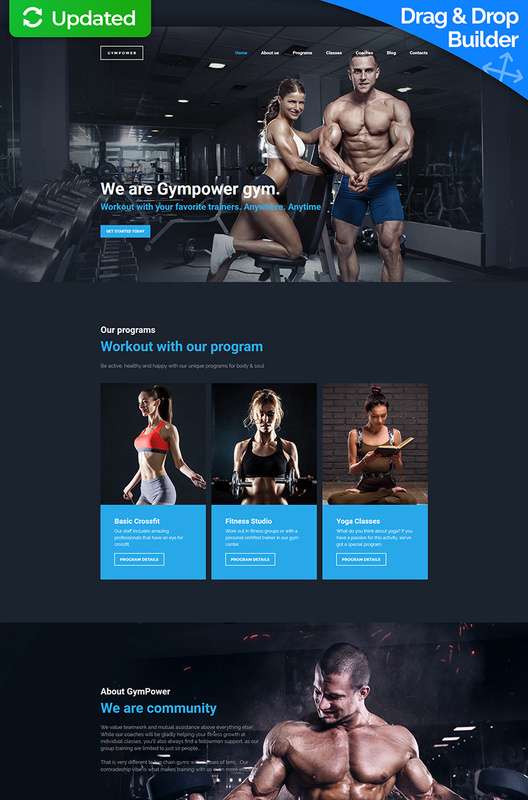 Gympower is a responsive Moto CMS 3 template intended for sports websites in the first place. It has a dark color palette, bold typography, lots of premade pages and integrated Google Fonts. The layout is image-rich, with several photography-based content areas, responsive galleries and parallax scrolling effect. If you need to make any adjustments to the design of your website refer to the drag & drop editor: with its help you can build a flexible responsive layout in a matter of minutes. You can also edit the appearance of widgets with a broad range of ready-made presets.